I’m a little bit of a numbers geek, so naturally I wanted to know how much money Rt and I spent on our thru-hike. We asked previous year’s hikers on Facebook how much they had spent on their trips while researching for our own. The general consensus was about $5000 per person for six months of hiking. That number can vary wildly with factors such as how much gear you already own, how many off trail expenses you are paying, and how much you are willing to spend in towns. Five thousand was the most common number thrown around for a comfortable hike. I figured I would put together a blog post just in case any readers or future hikers wanted exact monetary figures for a five month hike. I went through Rt’s and my bank account and added up every dollar we spent from April 11th to September 20th while on trail. Our grand total was $13,972! That seems like a lot, so let me break it down for you. The “off trail” section is money we would have been spending even if we weren’t hiking, but it is an important factor to remember when you are figuring out how much you’ll need to save. I broke down the “during thru-hike” section into pertinent categories and made another pie chart! For the “food on trail” section I added the cost of the food we bought to mail to ourselves and the cost of food we bought in towns to take on trail. The “food in town” section is purely money spent on cheeseburgers, ice cream, beer, etc. So the majority of the money we spent was on food. Not surprising. Food in town is a huge place to save, although arguably the hardest. A few friends on trail would hit the hiker box when they got into town and eat that instead of buying pizza or soda. Food was a constant topic of conversation on trail so not gorging on town food takes a lot of willpower. Rt and I decided we were ok with spending money on food, but you could save a handful by skipping a few meals in town if you have extra trail food or hiker boxing a dinner. Lodging is another place we could have saved a few bucks. There are times when you really really want to spend the night in town, which is fine. But if it’s not raining and there is a nice camp spot two miles out of town and all your chores are done then you’ll save money by getting your self in gear and heading out on trail. I would say that Rt and I had a reasonably comfortable hike. We didn’t stay in the fanciest hotels or eat all organic, but we had a lot of food and good gear. We spent very little replacing any of our gear. I only wore two pairs of Cascadias the entire trip, and I wore my heavy hiking boots in the Sierras. So I only used 3 pairs of shoes, not 5, and one of those pairs was given to me as a gift from a friend. Bushtit also had a pair given as a gift by the same friend. She bought 2 pairs prior to the trail and her last pair she found on the Facebook gear fleamarket group for $60 (great resource if you have plenty of time to bargain search!). She only wore 4 pairs the entire trip. Otherwise we had very little gear breakdown on us, probably a factor of us spending the extra $$ on quality gear to start with. Glad you found the info useful. Check out our gear list and reviews if you haven’t yet. We recommend almost everything we used on our trip. $3,432 seems like a lot. Even if you are including in-town food. I do backcountry restoration for a living and don’t spend nearly that much for a season of work. It definitely varies from hiker to hiker! We ate all the food we bought though and we both lost weight : ) I know plenty of people who spent less on their hikes, and I know some ran out of money and couldn’t finish. Thanks for your work on backcountry restoration! I did some trail maintenance before our hike and I know how grueling the work is. Sorry for the last response. I intended to reply sooner, but forgot about it until now. Have something in mind? Shoot me an email with your ideas. Reblogged this on Niknot Outdoors. Man, must have went fisrt class? Almost 5 K for gear! You can view the gear for both of us here, including weight and price. We started with zero gear for a trip like this. We bought everything. Most of our stuff is of good quality, but we found deals where we could. We didn’t realize until part way through our hike that a few items could have been easily replaced by cheaper versions of themselves, but knowing that ahead of time wouldn’t have saved us too much money. It’s worth spending the money on gear that works. Nearly all of it survived the thru-hike and is ready to use for the next one. Thanks for the data. Interesting to see where the money goes. You comment on how you could have spent less but overall this has to be one of the least expensive ways to spend 5 months. Your costs work out to ~$17K/year. As someone budgeting for retirement, I’d love to have my expenses that low. No prob! As far as comparing the expenses to everyday life, yes this was quite inexpensive. Plenty of retirees were hiking the trail, and many of them made it to the end with us! If you’re interested, go for it. Very true. We found it difficult in Southern California to adjust to trail life, and as a result we stayed in quite a few motels. By midway through California we got over that and were fully into our hiker trash lifestyle. SoCal was a big money pit for us and we spent much less in Oregon and Washington. Thanks for that, I’ve been wondering about the costs involved. great info! I agree that you can save a lot in town — on our thru we stayed in cheap digs in Tahoe and rainy Truckee then again 1 time in Oregon after a day of snow and 20 days of rain. There were very few trail angel meals or housing and we bought almost all of our food in advance using sales, coupons, bought bulk freezedried food and made our own meals, etc. so spent very little on impulse buys in town. It”s doable on $1000 in town! 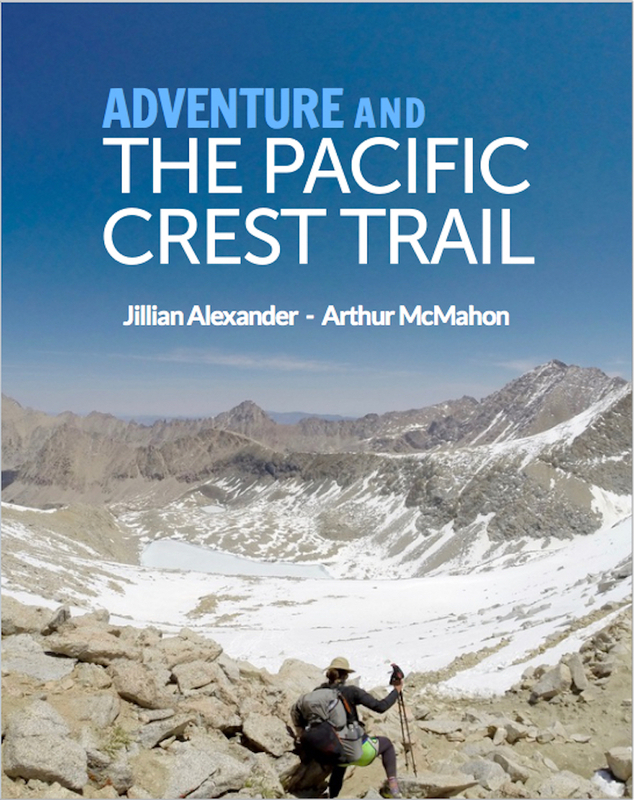 This is going to be very useful info for a lot of future hikers. I’m a stats junkie also. That’s an interesting take on thru-hiking. One that I imagine will be helpful to many considering a summer on the trail. Thanks much! Thanks for the insightful post, really puts it in perspective. Your posting will be a tremendous guide to a prospective hiker. Good job! Thanks for the insight. Looking forward to the gear reviews! Great post! Very interesting and I like the pie charts!